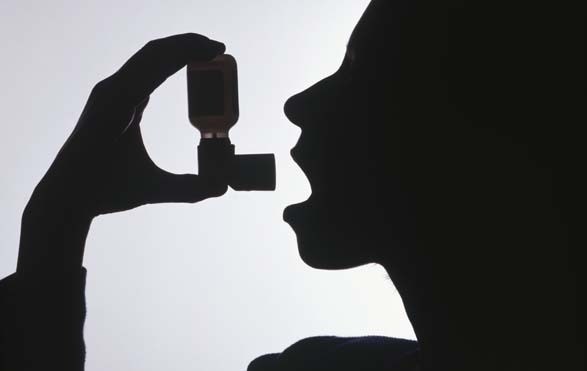 Asthma is work-related when it is induced or triggered by exposure to allergens or irritants on the job. These exposures can lead to new cases of asthma or worsen existing asthma. Data from the New York State Behavioral Risk Factor Surveillance System, Asthma Call-Back Survey show that 45% of working adults with asthma have something in their work environments causing or exacerbating their asthma, but only 12% have had their health care provider tell them that their asthma was associated with work. Health care providers often fail to ask about workplace triggers when diagnosing and managing patients with asthma. Considering the possibility of workplace exposures when presented with an adult patient with either adult-onset asthma or worsening of current asthma is essential when making a diagnosis. It is important to distinguish between non-WRA and WRA, since the latter is a potentially preventable and reversible disease. While WRA can be prevented, successful efforts depend on there being sufficient information to identify unhealthy workplaces and at-risk workers. Surveillance of WRA plays an important role in providing this needed information. In New York State, this surveillance is conducted through the NYS Department of Health Occupational Lung Disease Registry. Program staff educate employees about potential triggers and appropriate work practices and protection. They can also work with employers to assist them in identifying and preventing workplace exposures. However, for these efforts to be successful, physicians must comply with laws mandating the reporting of occupational lung disease and report patients with WRA.